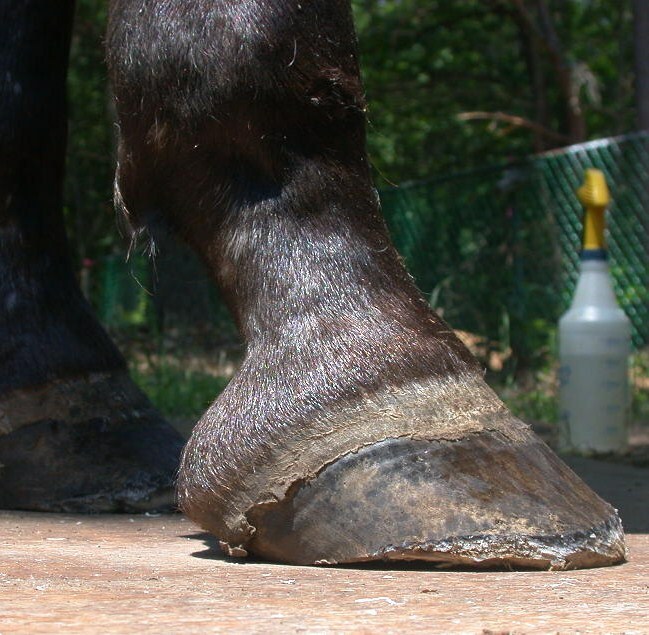 For many inexperienced horse riders or owners, the prospect of having a horse without shoes might seem like a very unusual prospect but once it is considered that wild horses are extremely unlikely to be shoed then the prospect of barefoot care suddenly doesn’t seem so unusual. 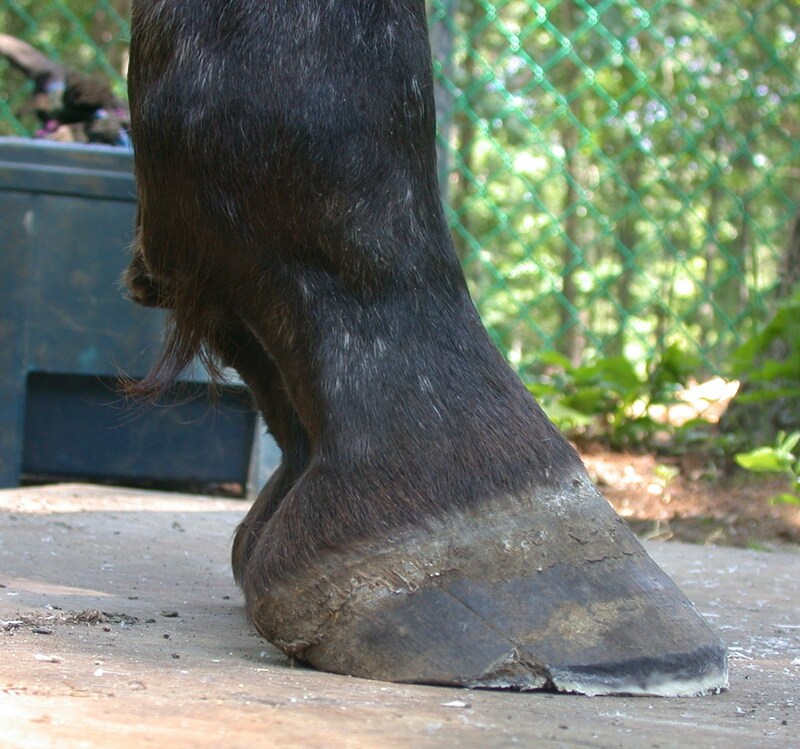 Barefoot is an extremely popular aspect of holistic animal care where the hoof itself is trimmed. 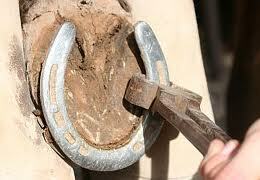 The practice came about as a result of the perceived harm which can be caused to the horse and its legs as a result of shoeing and it is for this reason that it has remained popular. 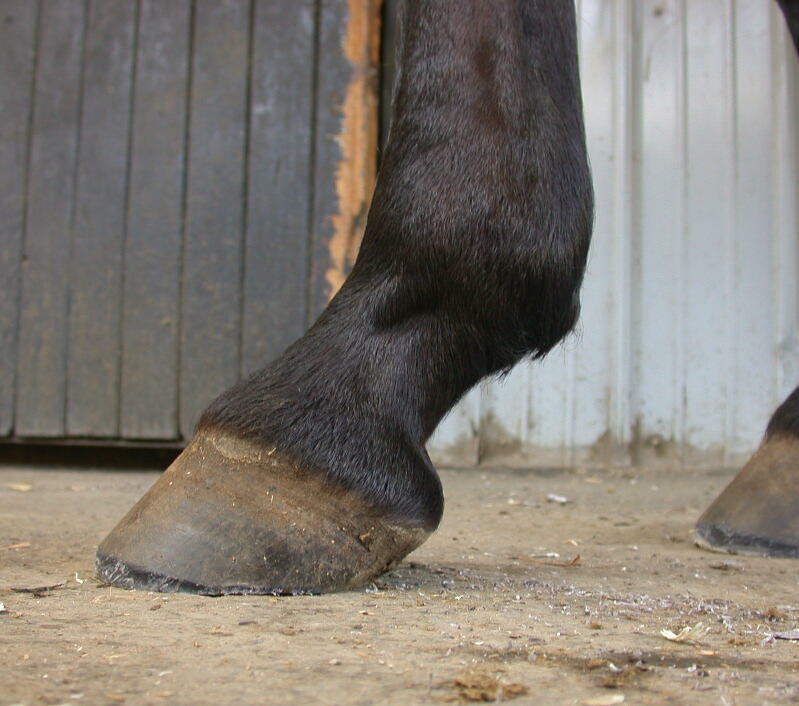 Studies have shown that the wearing of shoes can prevent the hooves from expanding properly as the horse presses down. 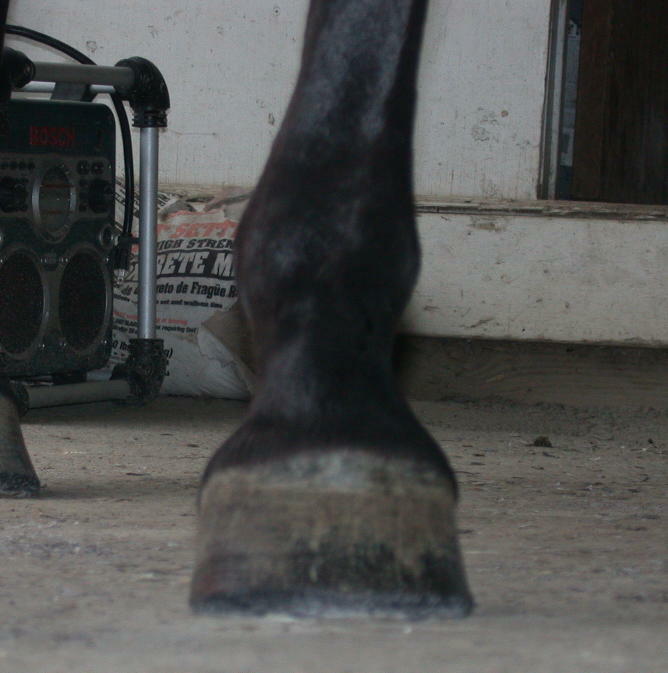 This can, in turn prevent the feet from absorbing the shock of the movement and could injure the horse during running. Shoes were removed in December ’08. The images represent his progress over the course of the next 5 months. The long toe is progressively coming back into better proportion. 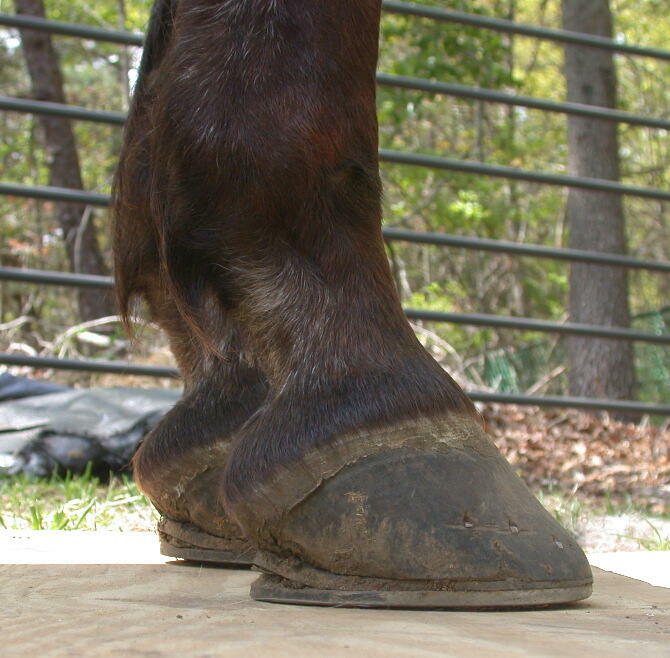 A better hoof/ pastern alignment is visible in the subsequent views. 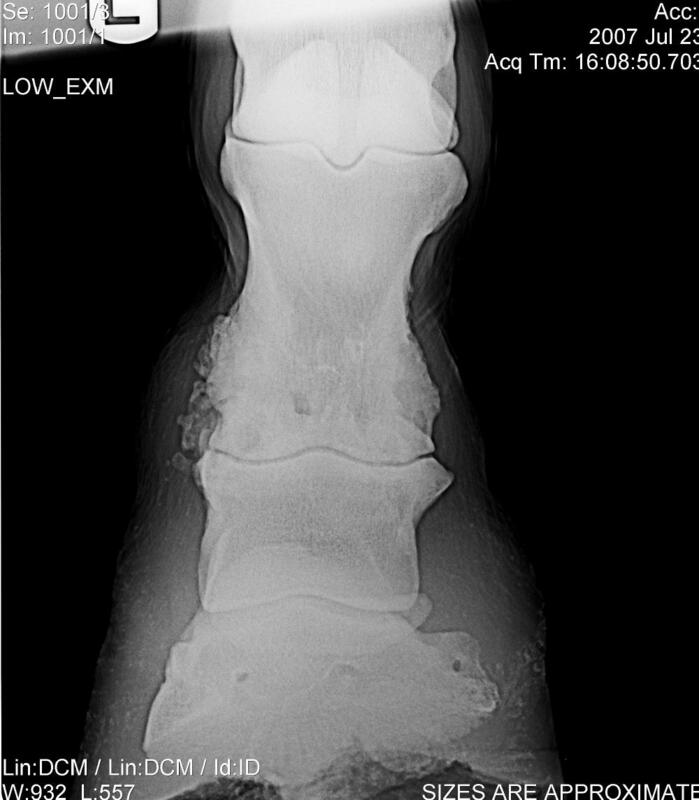 The horse in question, an 18 yo Appaloosa was retired from showing because of the non-specific diagnosis of caudal heel pain syndrome. Xrays confirmed the presence of ‘changes’ that were attributed to his discomfort. 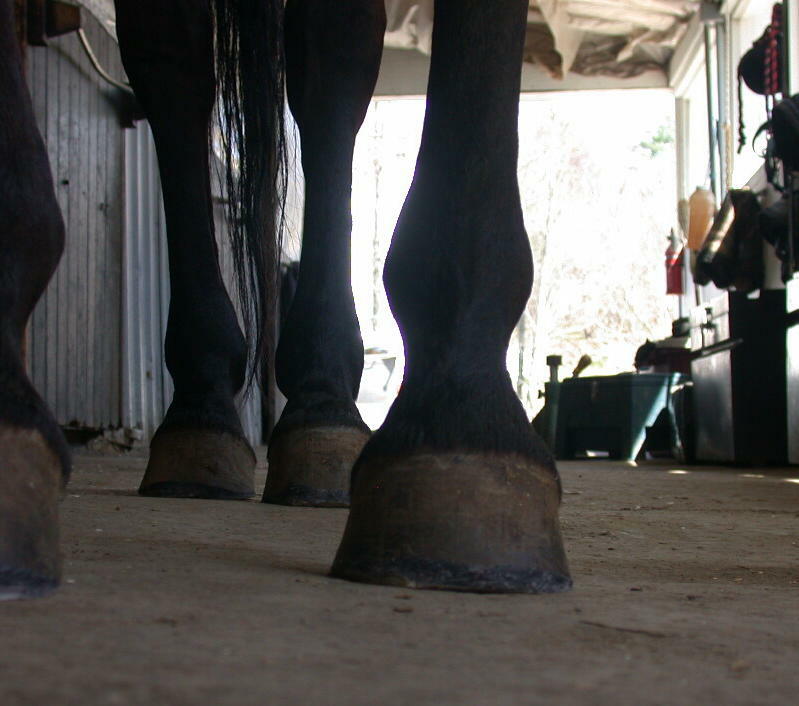 He was shod according to proper conventional veterinary standards for navicular, which did help to make him comfortable, but he still seemed stiff, definitely not agile, and, at the bottom of the pecking order would allow himself to be cornered and bullied rather than try and run away. In examining his feet, there was nothing obvious or terrible about them that would be making him sore but the owner decided, with much trepidation, to give barefoot a try. As it turned out there was quite a bit of fine tuning to do on his feet and with each trim his gait and comfort level improved. 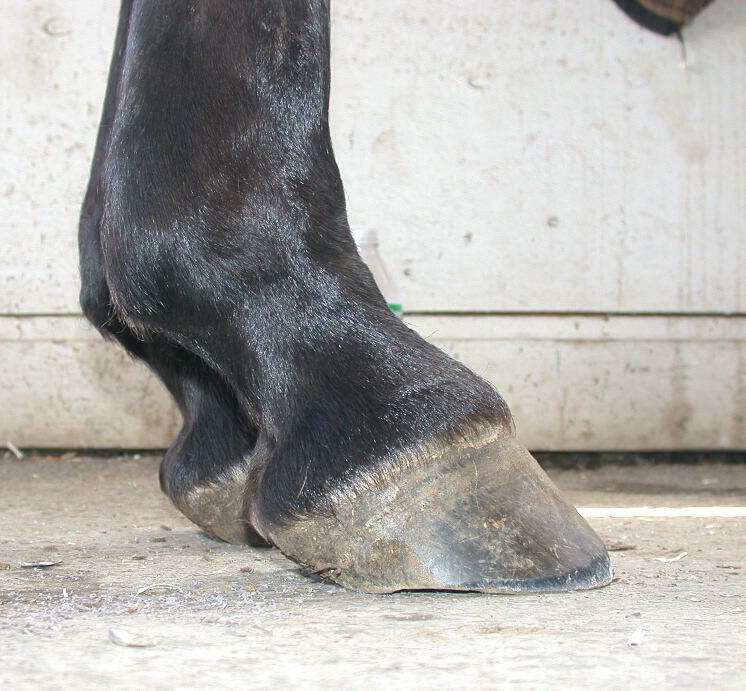 In particular his toes were able to be shortened much more than they could be in wedge shoes even though short toes is the standard shoeing protocol for ‘easing breakover’. In the shoes with wedge pads, the toe length looks acceptable, but without it, the excess length is more apparent. While a wedge does improve breakover, it comes at the cost of shifting the weight of the foot and leg pathologically onto the toe. With one trim, the toe length is improved and the bulge in the hairline is relaxed and straighter. 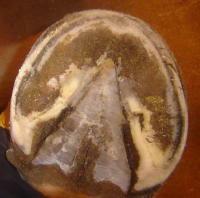 As the trim progresses, the hairline bulge continues to improve, the toe continues to come back, the heel stands up a little, and the foot comes ‘under the leg’ in balance. In the last photo, the hairline angle approaches the ideal as toe height improves, and the toe length is nice and short. The horse is standing comfortably with the cannon bone nicely vertical, with all his weight visibly placed onto that leg and into the heels. Note the difference between figs. 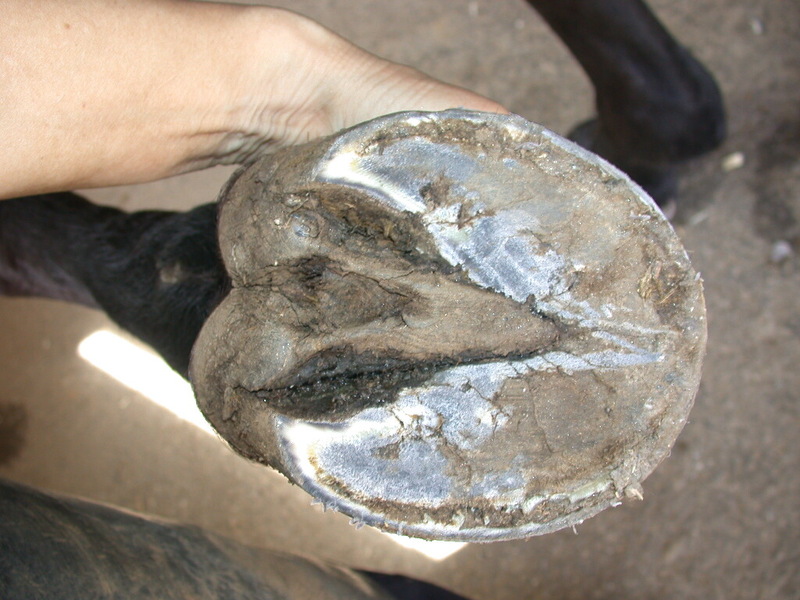 c and f. In the later photo, the heel has been brought back more underneath the boney column, providing a better base of support which is helpful in a navicular diagnosis (as in all cases since the balance is better). The toe is shorter in lenght but has more depth from coronary band to ground, which improves comfort. In general the whole shape of the foot is much improved, without having made any drastic changes. Horse and rider right after a trim. 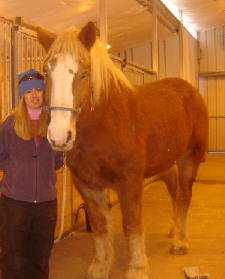 The mare is classified as a pony but is a QH, with large, horse-sized feet. She had fairly healthy feet to start with, with the exception of some minor flaring that was corrected over the course of the first two trims. 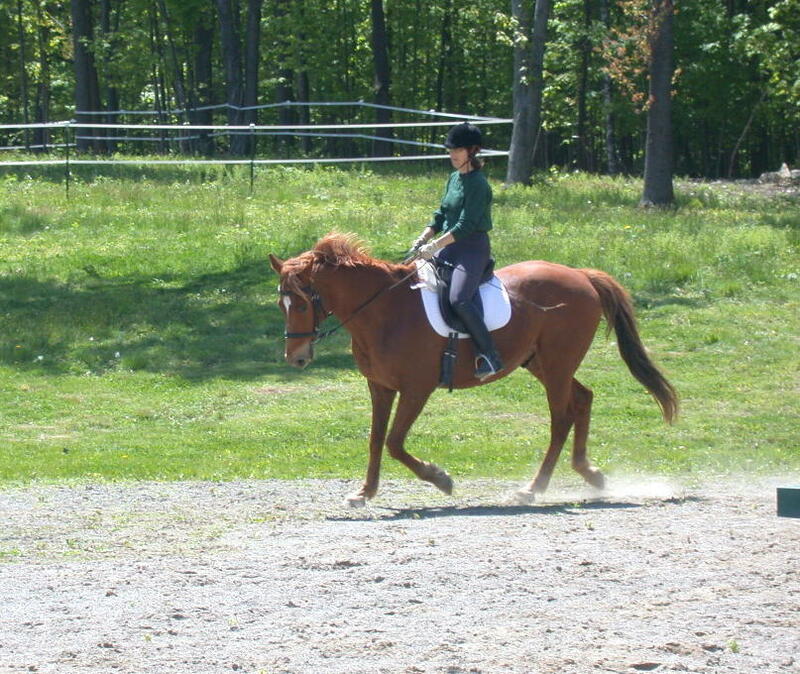 This enabled her right lead canter to improve and helped with better lead changes. 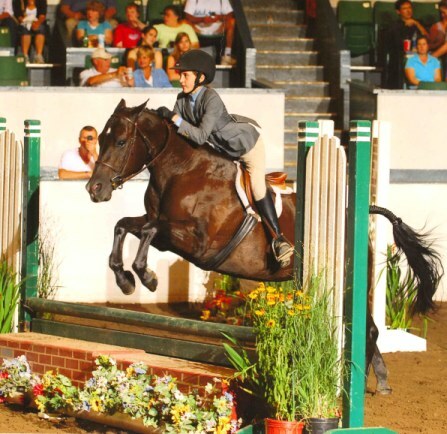 She and her owner/rider have had a very successful 2007 showing season, winning Champion in Children’s Hunter Pony Division at the “Big E” Eastern Seaboard Exposition in MA, a finalist (8th place) in Marshall & Sterling National Finals at HITS in Saugerties NY, and Reserve Champion at Gardnertown Farms in Newburgh NY. They are now (February 2008) competing at HITS in Ocala, FL. 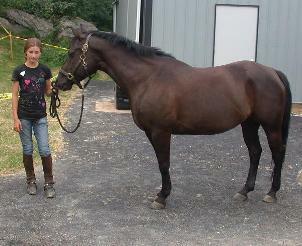 The Morgan mare is believed to be about 15 yo. She was found at auction in MA. Due to her severe lameness (grade5/5 at a the walk), no one wanted her and for several weeks she wasted in the auction pens. She was shod, but according to the sellers it did not help, and even with Banamine she was completely lame on some days. She was in danger of getting picked up by a slaughter-bound truck when by chance the current owner found her and purchased her for $400. (Click on thumbnails for larger views). 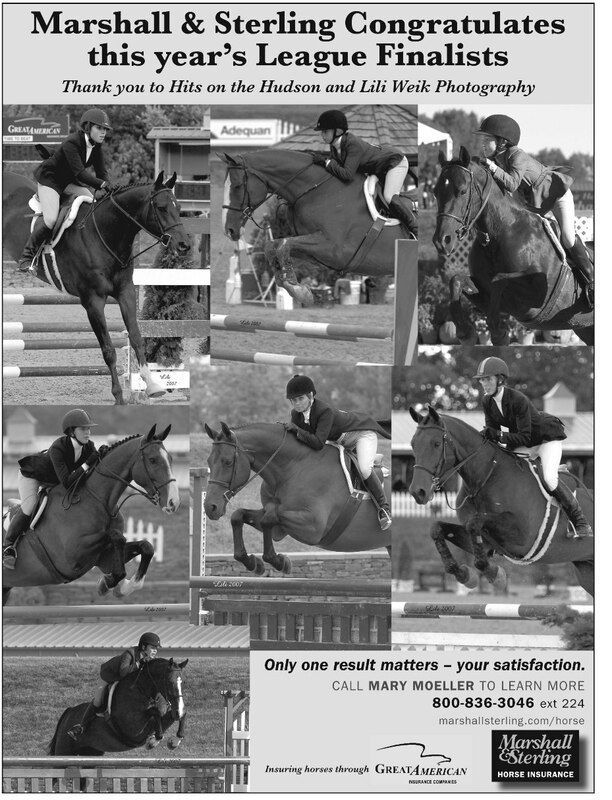 This horse clearly has a very advanced case of high, apparently articular, ringbone. According to the veterinary diagnosis, it was the most severe case ever seen by that vet and the horse would never be sound for riding. 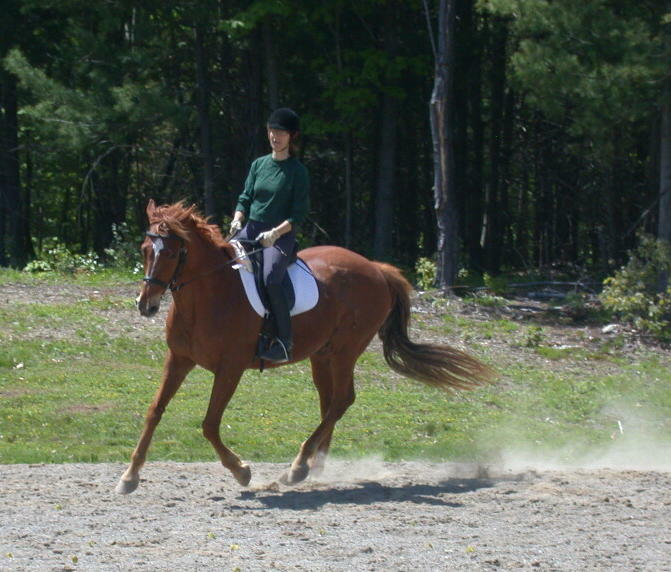 The ringbone is clearly visible even without radiographs and the mare frequently favored the Left Hind. 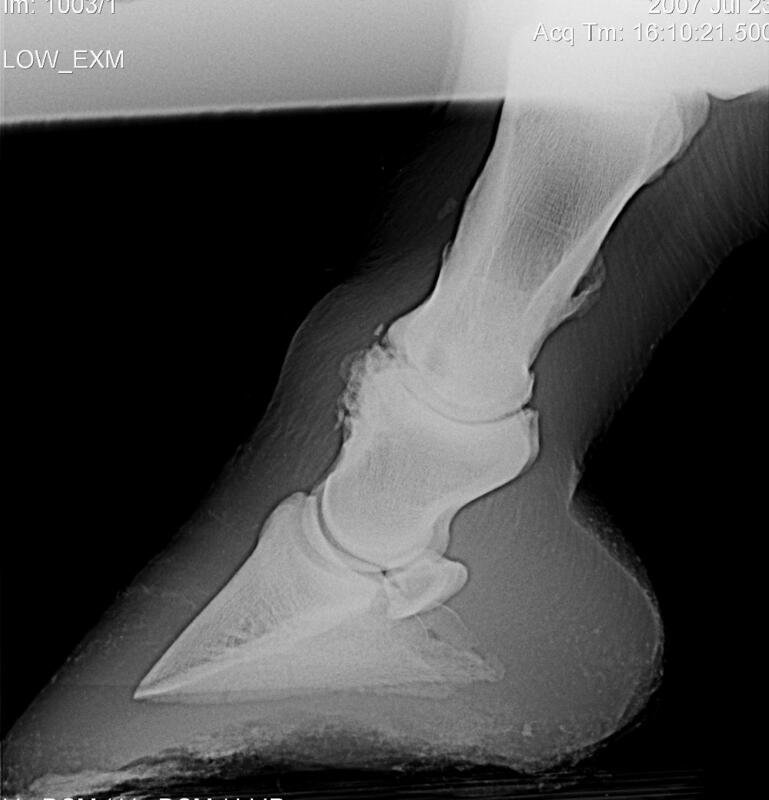 Moving on from what is visible on radiographs, the obvious confronts the viewer: the horse’s hoof form is terrible and overgrown, the result of neglect or ignorance. There is certainly more than enough cause here for lameness of some degree. The bars on the Left Hind are clearly overgrown to the point where they are actually above not only the level of the sole but the wall as well, meaning the bar would be the first structure to bear the horse’s weight, upon weightbearing rather than the walls and sole. 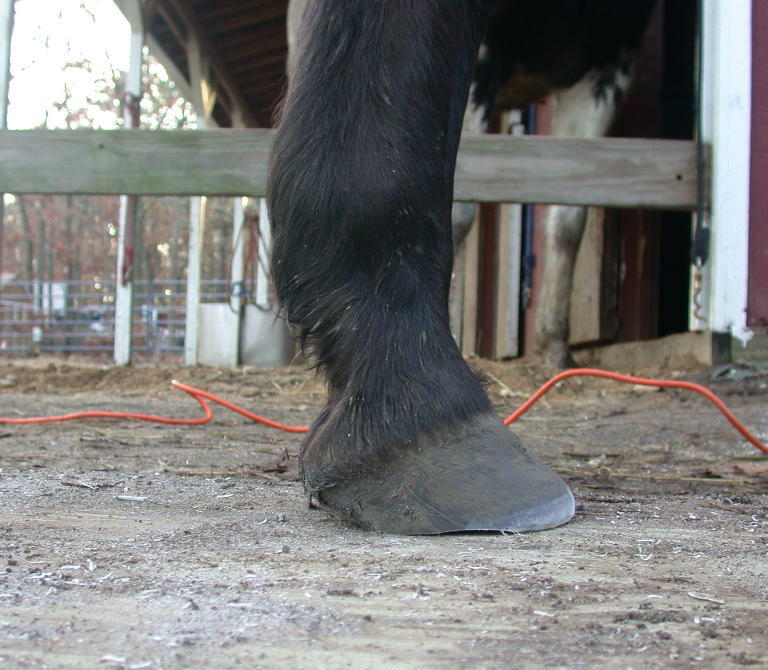 Since the foot is somewhat contracted and the wall and bar material are very hard (as is typical in Morgans), the bars are not folding over onto the sole, the effect for the horse being like stepping onto the dull edge of a knife with each step. No wonder she refused to put any weight onto that foot. Fig. 1 shows the edge of the too-long bar (red arrow) as well as the desired location of the bar (blue dashed line). Fig. 2 shows the bar grown all the way around the apex of the frog (red arrows), also a source for pain. Fig. 3 shows the bars lowered and removed from the sole. 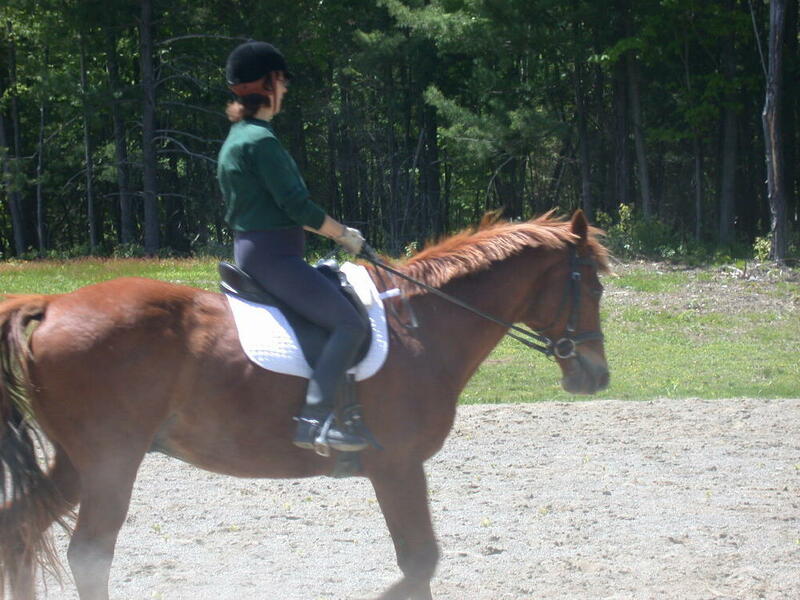 After this trim the mare was much more willing to stand on this foot but was still lame on turns. Having become more comfortable on the LH, she now exhibited more clearly lameness on the Right Front and is seen holding that foot behind her, a sign of pain. Further investigation revealed deeply imbedded bar on the RF front, which when removed, produced immediate improved soundness. Update: The mare has been under the new owner’s care for about six months now. 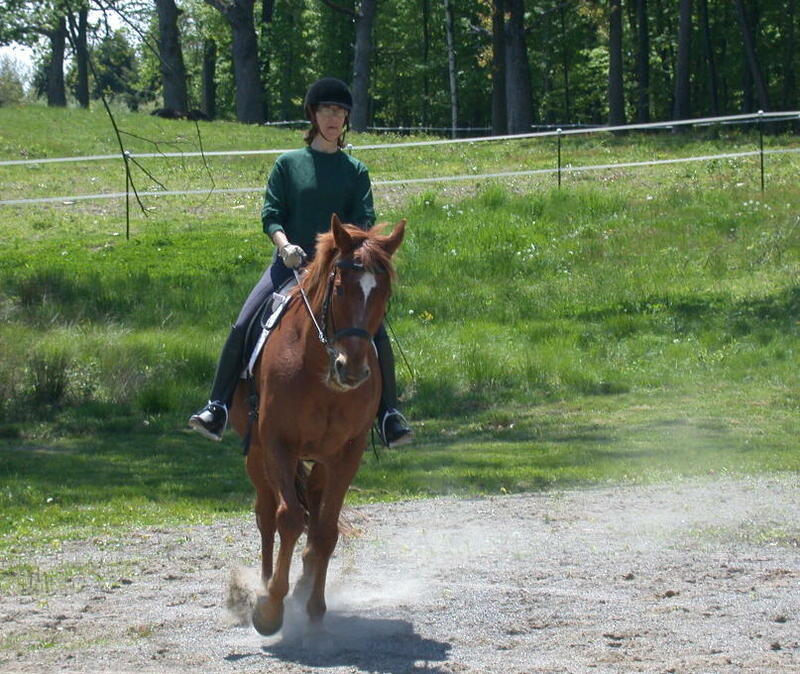 After her first few trims she was able to place weight on her feet and move comfortably, so she was started on trail rides of increasing duration, sometimes as much as 4 hours long. After the very longest rides she would show some signs of discomfort in her hind legs, which presumably was the articular deposits being worn away from the hours of movement. (This will be confirmed in the coming months with new X-rays). But evn this discomfort is no longer present. 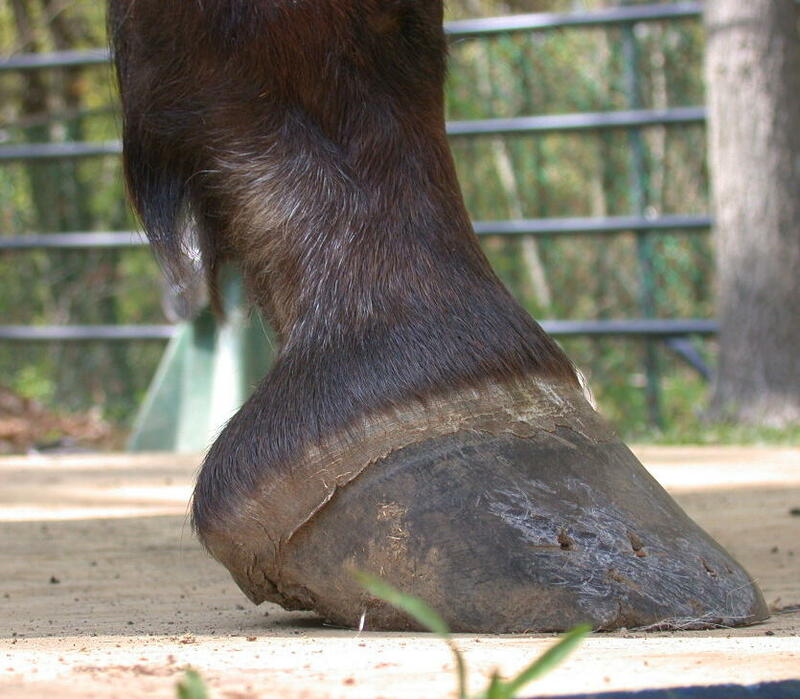 It is apparent that the obvious pain and inability to place weight on the Left Hind was orginating from the large overgrown bar seen from the underside on the lateral side of the foot, even though this was never observed in the lameness diagnosis. The lameness was all attributed to the ringbone. 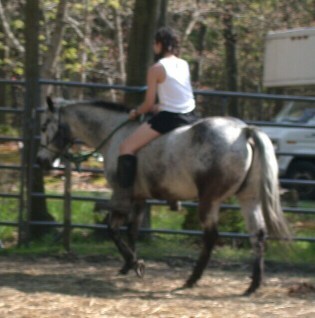 She requires no boots on every kind of footing in the park where she trail rides. 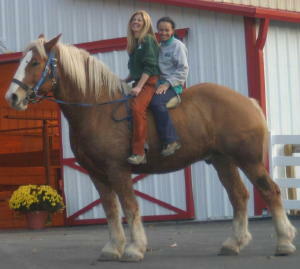 Dante is a 9 year old rescued Belgian Draft Horse. He was once an Amish work horse. Upon entering the zoo he was lame regularly and needed bute often for pain control. 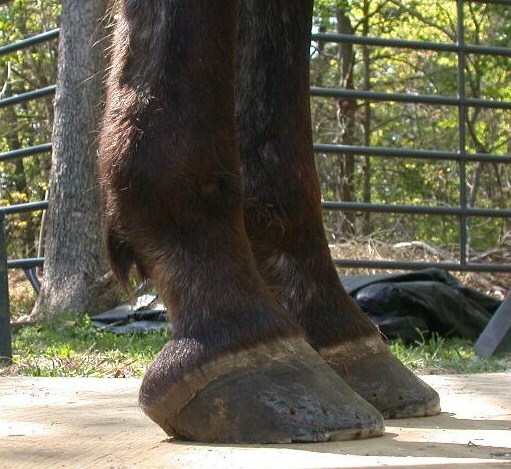 The zoo’s farrier could not control him even with sedation, and ended up only rasping the tops of his feet for months. Finally, a natural barefoot hoofcare professional was sought out, in a last ditch effort to get him sound and controllable before giving up and sending him away again. What a turn around!!! Dante has been sound since his first trim. The trim addressed his overgrown bars, frog, and major flaring, and took almost 3 hours! Four months later, he is getting better and better. 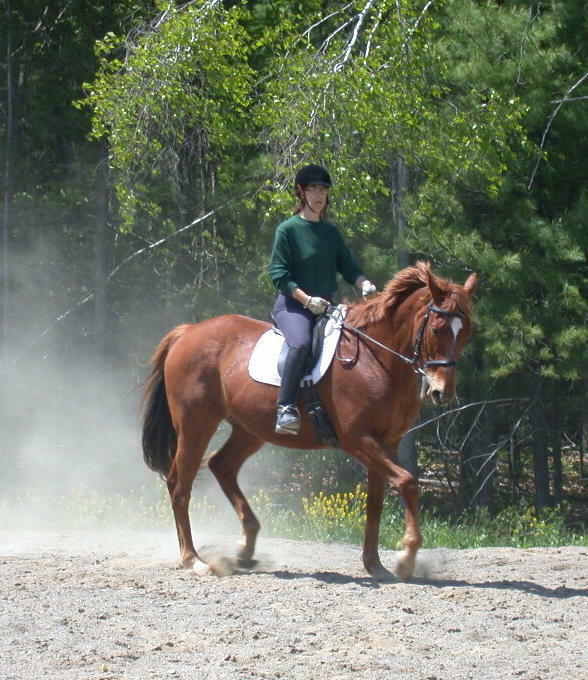 He no longer needs sedation, thanks to time and patience, but mostly due to some natural horsemanship techniques that have encouraged him to give his foot and stand quietly. Dante is a pleasure to work with now and the zoo staff is amazed at how far he’s come. He is one of the most popular animals at the zoo. Check him out one day! !